The chart of accounts is the list of all accounts your organisation can use to record your transactions in Xero. It helps you classify your transactions correctly, and generate meaningful reports to help you run your business better. Xero assigns a default chart of accounts when you set up your organisation, but if you prefer, you can import a chart of accounts from your previous accounting system, or your own custom chart. 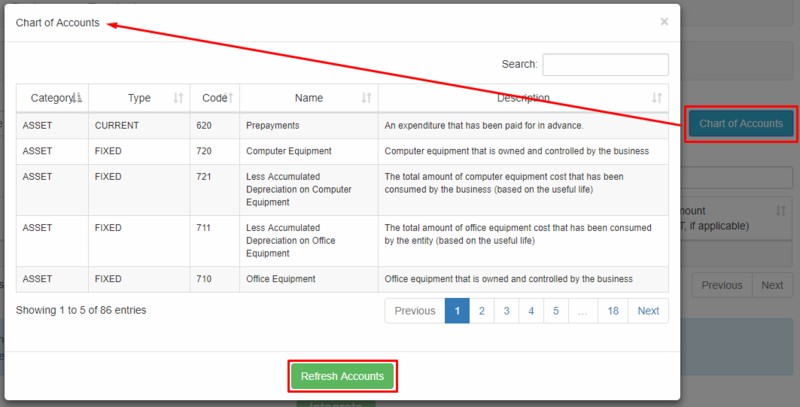 Chart of Accounts button is displayed on the upper right corner of the Sales and Purchases integration page. Click this button to know the category for your records. This will display all items per category. It displays all items under Assets, Liabilities, Equity, Expenses, and Revenue. Click the button if you want to update your options. This is applicable when you have added an item in your XERO Chart of Accounts and you want it to be reflected in Small Builders.